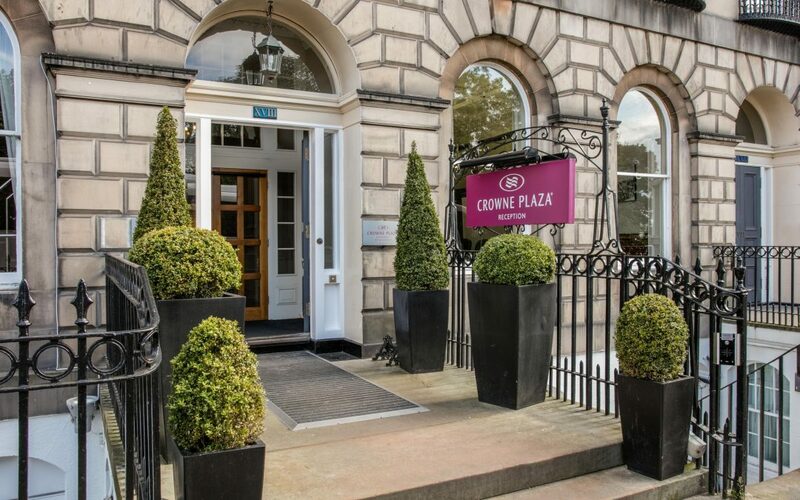 Crowne Plaza Edinburgh (Royal Terrace) wedding venue review is this week’s featured blog. Gordy is a DJ had the pleasure of visiting this amazing venue last month for the first time and are excited to return later this week for another wedding! Why should wedding couples consider this city centre venue? In our opinion, there are many reasons why this fabulous hotel should definitely not be overlooked!! 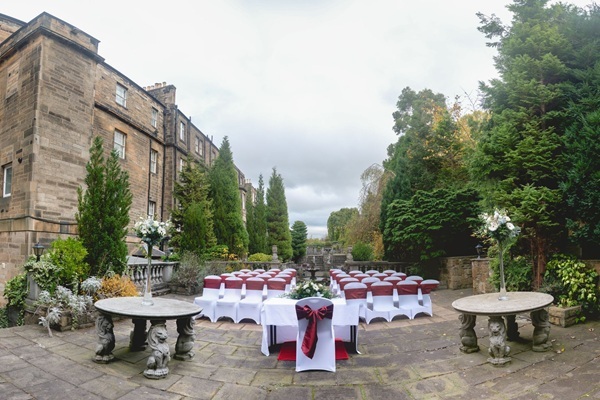 A collection of beautiful Georgian townhouses located in the heart of Edinburgh, the peaceful location allows wedding couples to celebrate their special day with privacy. With spectacular views across to the Firth of Forth, there are ample photograph opportunities outside in the courtyard gardens but the elegant and luxurious ambience inside is just as special. The warm and inviting welcome that Gordy is a DJ received upon arrival was brilliant. Wedding couples will be given a first-class customer service by all staff, as nothing is too much trouble. Rebecca and Peter were especially helpful in advising us of timings and showing us access to the Balmoral suite which has it’s own dance floor and bar. Crowne Plaza Edinburgh can cater for up to 100 guests but other function suites are available for more small and intimate weddings. Another reason why this unique hotel should be considered by future wedding couples is it’s location. Situated only 10-15 minute walk from Edinburgh Waverley train station, your guests won’t have to worry about transport/parking and with plenty of luxurious accommodation available on site everyone can sit back and enjoy the special day! From a supplier’s viewpoint access to this venue is extremely straightforward – a couple of steps takes you directly into the function suite. Gordy is a DJ had the great pleasure of providing the entertainment for the Steedman wedding and what a celebration it was! 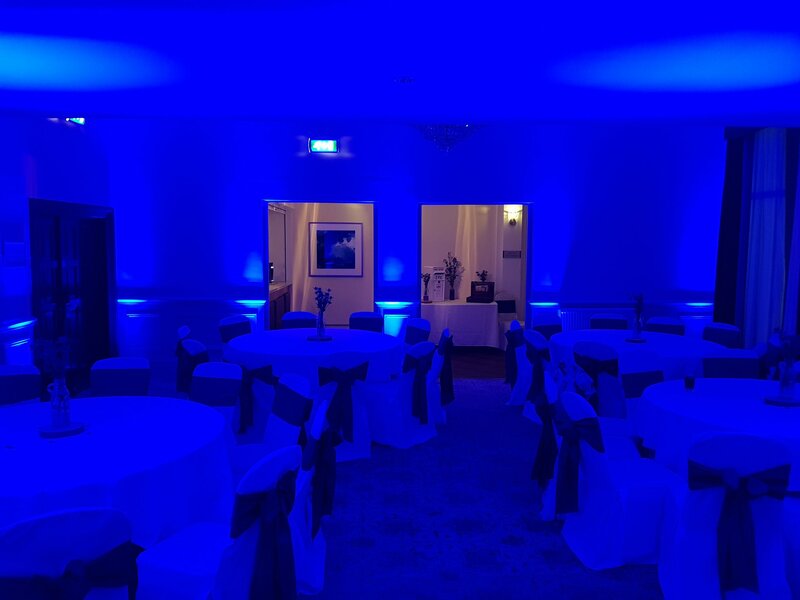 The above photograph shows how effective mood lighting can be at changing the reception room from daytime to party time!! 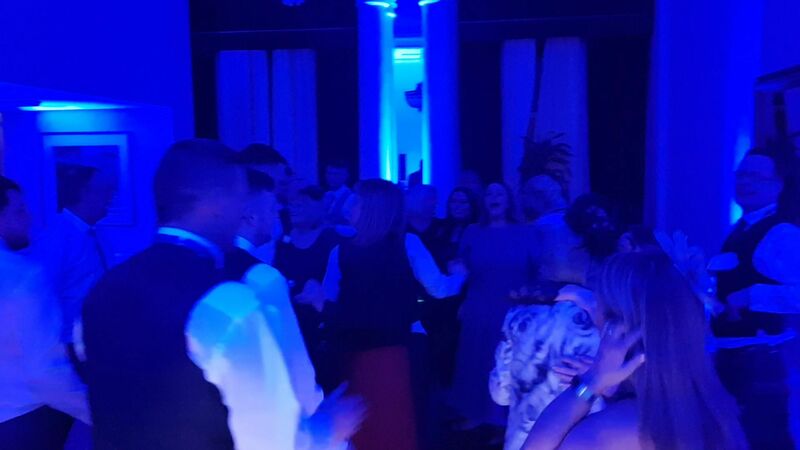 Meanwhile, for more information about how Gordy is a DJ can help you with your wedding celebrations, please contact us here.